The Midland-Odessa Sockers playoff run continued at Grande Communications Stadium in Midland when they defeated Inter Nashville FC 1-0 Saturday in front of more than 1,000 fans to advance to the national NPSL semifinal round. This will be the second consecutive trip to the semifinal round for the Sockers (though in different leagues). 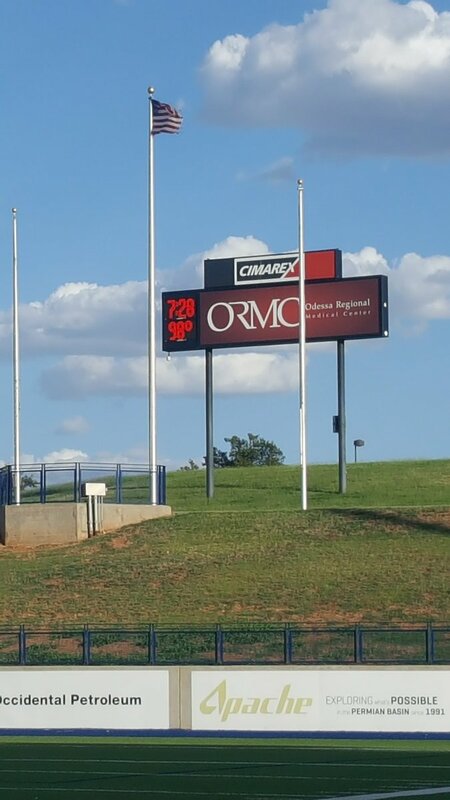 On a hot night in West Texas (see picture above) Zach Penner scored the game winner off an assist from Ricardo Palomino in the 71st minute for the only score of the match. Palomino received a pass just inside the Sockers attacking area and was able to run uncontested through the Inter Nashville defense. Just before reaching the 18 yard box, Palomino threaded a perfectly weighted pass thorough four defenders to Penner, who received the ball with his back to goal, turned and blasted the shot past Nashville goalkeeper Hayden Coffman, who had no chance to stop what turned out to be the game winning goal. The game was generally even with both sides having chances. Inter Nashville hit the post midway through the first half, but otherwise the Sockers organized team defense and goalkeeper Braulio Linares-Ortiz kept the game scoreless until they were able to break through. The challenge was further complicated because, due to a variety of factors, the Sockers only have 16 remaining players on the roster. The Sockers now travel to Hamtramck, Michigan to play Detroit City FC (DCFC) (13-3-2). “Le Rouge” as they are known are one of the NPSL golden children because they are the only soccer team playing in one of the largest markets in the country and their large (6,400+ in attendance last night) and boisterous fan base. Detroit City rolled in early playoff games, scoring 5 goals twice against Dakota Fusion FC and Duluth FC (Friday night) before running into a local nemesis, AFC Ann Arbor Saturday night. Detroit City’s playoff run also continued as a stoppage time goal allowed them to defeat Ann Arbor 3-2 to win the Midwest Region. Playing the second game in two nights, Detroit City went up 2-0 in the first half on the higher seeded Ann Arbor, who had won the two previous meetings with Detroit City FC. Things were looking even better when Ann Arbor had a player sent off with a straight red card in the 66th minute. Despite playing a man down, Ann Arbor scored twice to tie the game. A second Ann Arbor player was ejected after picking up his second caution in the 90th minute. Then four minutes into stoppage time, Tyrone Mondi scored the game winner. 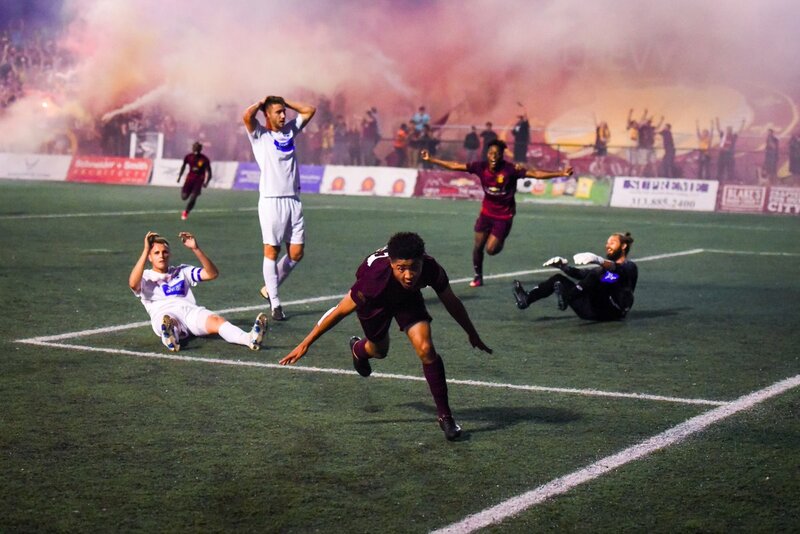 Detroit City FC will host its 2017 National Premier Soccer League (NPSL) National Semifinal against the Sockers at Keyworth Stadium in Hamtramck, Michigan this Saturday,-August 5. Game time will be at 6:30 C.D.T.